With a network of more than 20 European research organisations and data and computing centres in 14 countries, the EUDAT Collaborative Data Infrastructure (CDI) is one of the largest infrastructures providing integrated data services and resources in support of research in Europe. From January 2018, the EUDAT CDI will start working with a consortium of 100 partners including Research Infrastructures, national e-Infrastructure providers, SMEs and academic institutions within the framework of the EOSC-hub project, a Research and Innovation Action funded by the European Commission (call H2020-EINFRA-12-2017(a)). As its name suggests, this project aims to create the integration and management system ("the Hub") for the future European Open Science Cloud and the EUDAT CDI will be a key part of it. "EOSC-Hub is an ambitious and challenging project", stated Per Öster. "It brings together a broad consortium of generic and thematic service providers who will work jointly to lay the technical foundation of the European Open Science Cloud." As Project Director, Per Öster will work closely with the Project Coordinator and chair the Project Management Board - the executive and supervisory body of the project implementation responsible for driving the project strategy. 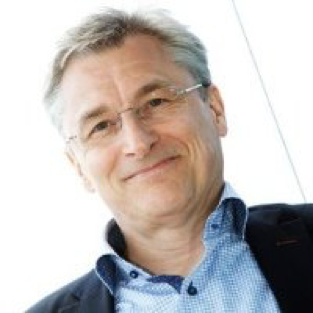 Per Öster is already very much involved in the EOSC governance discussions, leading the EOSCpilot Governance Development Forum, and he will ensure a good interaction and synergy between the two initiatives. His previous activities as Chair of the EGI Council and his current engagement in the EUDAT initiative, as well as his role in various research infrastructures have given him deep knowledge of the main actors of the project which will be a key asset for the success of the project.